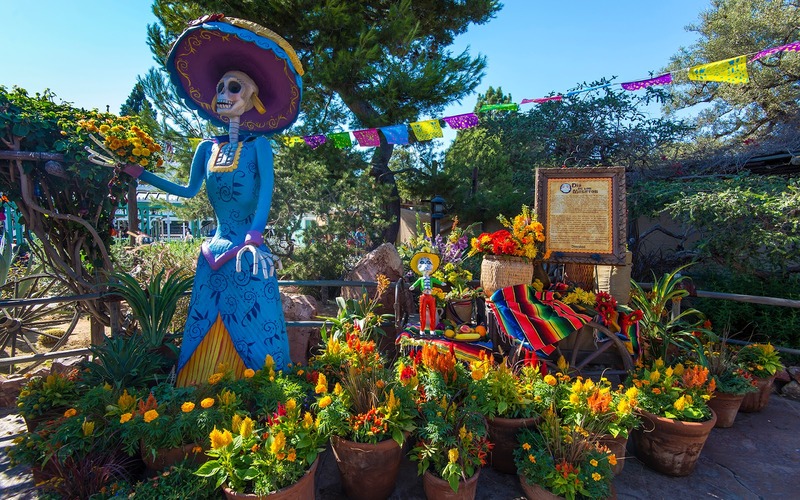 During Halloween Time, Frontierland presents its iteration in the form of a celebration of the Mexican holiday, Día de los Muertos, or "Day of the Dead." This colorful display near the Rancho del Zocalo illustrates the Mexican take on Halloween. In reality, it's less about spookiness and fright and more about remembering family members and paying respects to the dead. Though the imagery is vibrantly morbid, the tone is anything but. During the Day of the Dead, presents and food are presented to those who have departed. The tie-in to Halloween? Well, this is also the one day that the spirits can return and make contact with the land of the living. But it's typically in a warm or celebratory manner, not one of haunts and terror. And that spirit is reflected quite nicely in this Halloween Time display! 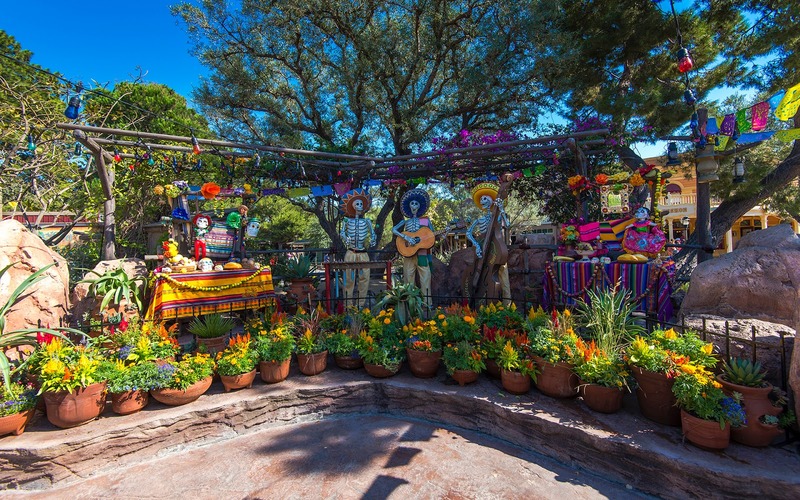 Frontierland commemorates the Day of the Dead with two displays. Here's one.